I was recently browsing the Internet, looking for examples of masks to show to a client who’s been having difficulty with the directive. During my search I came across the February cover of National Geographic, capturing a retired Marine Gunnery Sergeant with his own mask in-hand. This mask, a face with hollow eyes and an exposed brain, represents the Sergeant’s own brain, to which he suffered more than 300 blast force explosions, followed by extensive probing while doctor’s worked to diagnosis his injuries. Take one look at the mask and the veteran’s psychological and emotional pain is clear, written across the face without any need for words. Despite the high-tech and advanced scientific efforts to treat returning soldiers, these issues, their “invisible wounds,” are not revealed through probing or medicine. 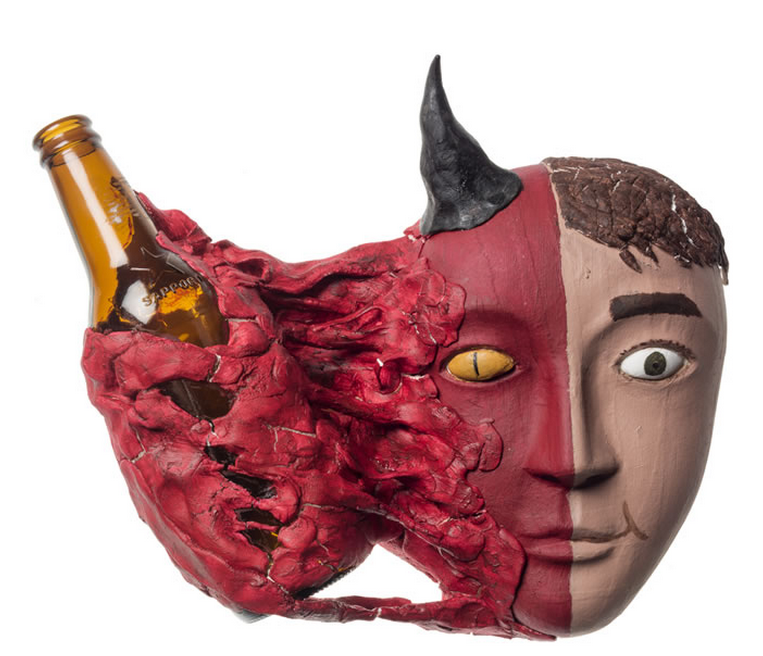 This mask is one of over 600 created in a program at the National Intrepid Center of Excellence, where veterans work with trained art therapists to help heal their traumatic brain injuries, psychological traumas, and depression. Given just a blank mask and various art making supplies, the Soldiers have the opportunity to both see themselves and be seen, integrating the different parts of themselves into one, including experiences that were previously too painful or repressed to speak of. As one of the Veteran’s so powerfully states “Sometimes you find yourself saying, I wish ... I would have lost a body part, so people will see—so they’ll get it.” The mask making provides the opportunity for just that. Through creating masks in art therapy, soldiers are given both an outlet and a tangible object, all at a safe-distance. This process leads to deeper insight, understanding, and acceptance. The article displays so many powerful masks, as well as a terrific interview with one of the program’s art therapists. She explains more about her work with the veterans through the mask making process. I highly recommend checking it out!